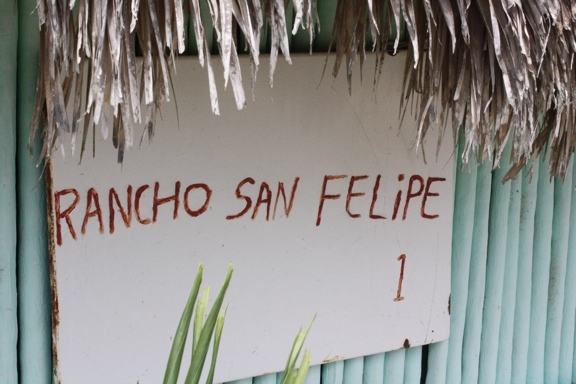 I started my morning en route to San Felipe Ranch, a Mayan community, where Alltournative operates its adventure tours. My host Riviera Maya van sped down the main highway until a small sign and our guide both signaled us to turn off. Then the real journey began. We drove slowly across the uneven dirt road and continued deep into the jungle. Staying in Playa you can easily forget how thick and vast the Mexican jungle is on Yucatan Peninsula. That morning I was reminded, I was on the Jungle Maya Expedition. My all day adventure included a packed list of activities. 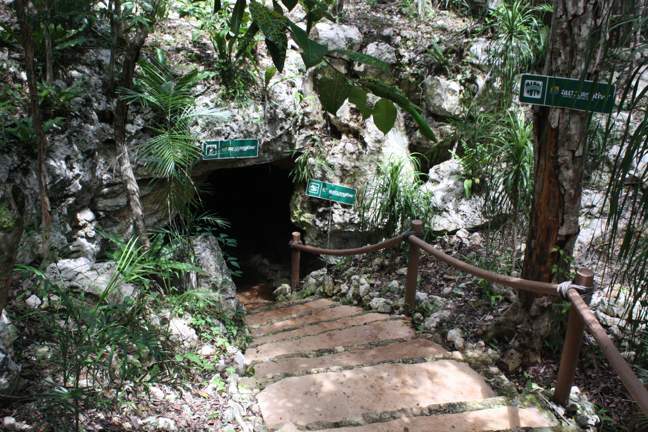 The dance card consisted of: a 4×4 all terrain off-road ride, zip lines across the jungle from above, mountain biking on trails, a Mayan ceremonial cleansing (possibly needed), and the prize – swimming three different cenotes (including one via a rappel entry). But then, as my coffee just seemed the right temperature to drink, we started through this bumpy dirt road. As I struggled not to spill it, I attempted to take a sip. I knew I’d need the caffeine fuel for this day. We arrived and it seemed I was on the clock. My guide, an Austrian who now calls Mexico home kept us punctual as we switched from activity to activity. And although my group was just three of us, my Riviera Maya guide, my Alltournative guide and myself, the ranch buzzed with activity. I noticed many other tourists who came to enjoy the same experience, the Jungle Maya. After an early morning hike, we eventually found ourselves at the first cenote, part of the Nohoch Nah Chich Cenote system. These connected cenotes, part of the Planet Earth BBC documentary, is one of the longest explored underground river systems in the world. And as I understand it, more is still being discovered today. After a rinse and changing, we obtained the provided gear; the wetsuit (not needed if you can handle 75-78 degree water), and snorkel equipment. We then walked down the steps to the cavernous entry and plunged into the clear, pools. Exploration began. 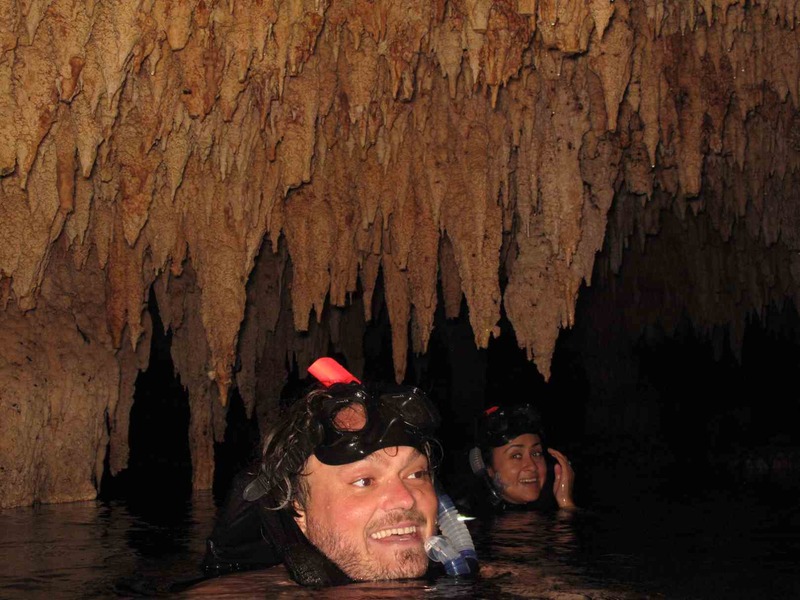 We navigated through the waters admiring the stunning stalactite and stalagmite formations both from above and below. Intense and incredible. The second entrance known as “Heavens Gate”, provided more views of the caverns. 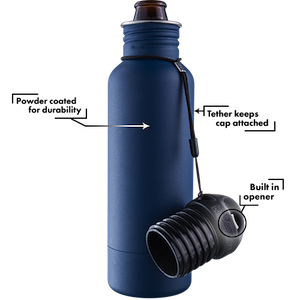 Both beautiful and so refreshing, not just for the cool water on a hot day, but rather refreshing to the inner-self. A chance to explore and see an unknown and uncommon world. With bats above and even fossilized shells aged at 65 million years old, you truly enter a unique and different world. 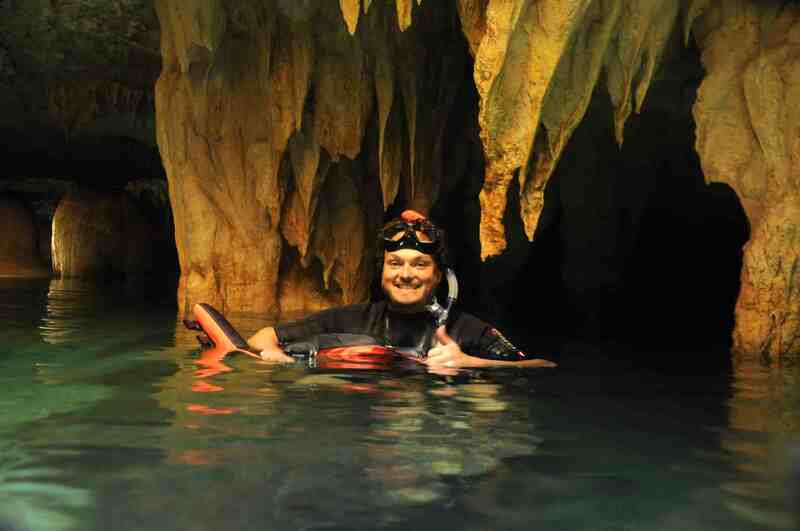 The third cenote, I needed to rappel down the side of the cave to enter. My first time. Again so different. 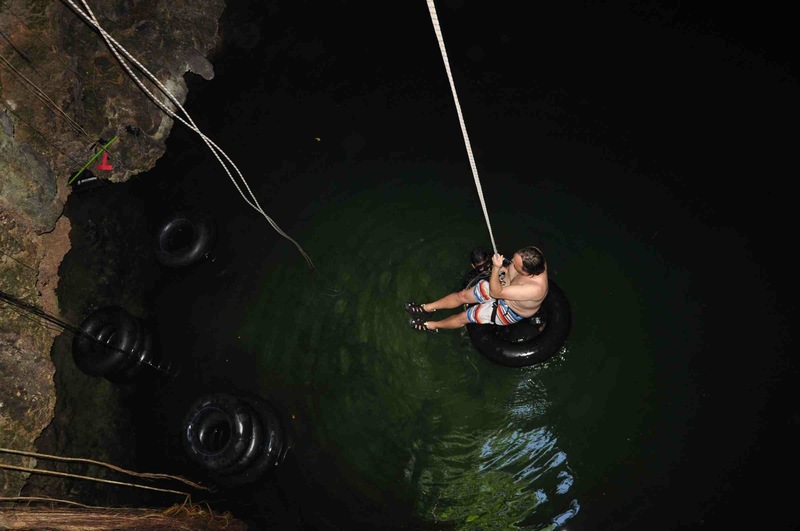 Stimulation was unavoidable on the Jungle Maya tour, but looking back the chance to take an adventurous sample of the jungle and also swim in the cenotes remain memories that shall stay with me. And for the cenote swims, I could have spent all day in the Nohoch Nah Chich Cenote underworld, but perhaps the taste I had will just make me hunger for more. Hunger for a return. 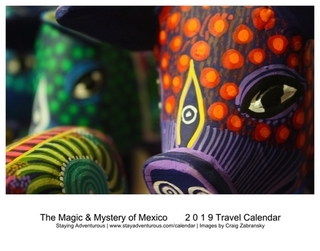 Day 19 of the 20 day Mexico Bicentennial Tribute. Day 4 of Cenote Week. Craig, did you do the Mayan ceremonial cleansing and if so, what was it like? Yes, it was part of the tour. To start, he opened the ceremony by asking all the main elements (fire, water, …. ) and each direction (north, east, …. ) for permission and then provided prayer. He used burning sage / smoke to cleanse us and continued with his prayer in local language. Also, the setting added to the mystique, we were deep in a cave, candles, and the smoke created such magical sunlight beams. I am not sure it fit in with all the other activities, but it provided a taste. I enjoyed the taste. Good stuff, would love any more things you’ve done on tours in Mexico.